I am a full time, professional agent with a proven record of success since 1983 and have sold hundreds of homes. I am extremely familiar with the local neighborhoods and schools. Because I am a full time agent, I have unparalleled knowledge of current market conditions as well as local real estate norms and procedures. When you list your home with me, you are hiring ME, not an assistant. My focus is to interact with my clients. I am available 7 days a week to answer your real estate questions and assist you with your real estate needs. My proven marketing system continually evolves to include the latest marketing innovations. I provide a full range specialty services including providing and/or coordinating with contractors and maintenance workers on your behalf and staging services. I was born in Seattle, raised in Bellevue and my three kids attended schools in the Issaquah School District. 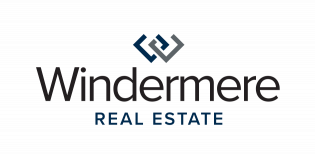 My specialty is in listing and selling homes in Issaquah, Sammamish, Bellevue and Redmond. Once an offer is obtained, I will provide counsel and guidance to negotiate the highest offer with the greatest odds of closing. I will monitor and track all contingencies to make sure all obligations are met. I am a skilled negotiator who will represent and protect your real estate interests from beginning to successful close. I will provide you with expert advice on how to properly prepare and price your home to maximize your home’s value. Next, I will employ my proven and comprehensive marketing system to attract buyers to your home and create an offer. Finally I will follow the transaction to a successful close. Bob's homes sold for 102.5% to 104%* more than similar homes listed by other agents during 2015-2017. *Based an a analysis of sales prices in the Klahanie neighborhood in Sammamish provided by the NWMLS. Data is deemed to be accurate but is not guaranteed. I will provide you with advice on how to effectively prepare your home to ensure the highest sales price.